Fusion Art is pleased to announce the opening of “Cosmic Symphony” by Fusion Artist, Michael Goldzweig. Palm Springs, CA, USA — Fusion Art (http://www.fusionartps.com) is pleased to announce the opening of “Cosmic Symphony” by Fusion Artist, Michael Goldzweig. Michael’s featured show runs from February 1st through February 28th with an artist’s reception on February 11th from 6-9 p.m.
Michael is a Chicago based artist who has been creating and painting all his life. Inspired by such artists as Salvador Dali, LeRoy Neiman and Leonardo Nierman, Michael’s paintings are a vibrant swirling symphony of colors that come alive amidst a vast dark cosmos. These brilliant wisps of color are as intense and dramatic as they are dazzling. Stephen Baumbach Photography, will also host a reception on the evening of February 11th between 6-9 p.m. Stephen recently joined us at Backstreet and his studio/gallery, directly across the hall from Fusion Art, is quickly becoming a hub for local Coachella Valley photographers to gather, network and exchange ideas. Please join us for Michael’s artist’s reception. He will be in attendance to meet and discuss his art with all. Gallery hours are Wednesday – Saturday 11 a.m. – 4 p.m. and by appointment. For additional information please contact Valerie Hoffman at 760-832-7031. 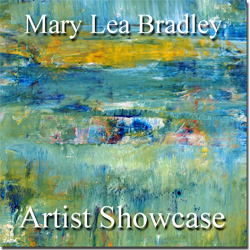 Light Space & Time Online Art Gallery is pleased to announce that Mary Lea Bradley has been chosen for the gallery’s Artist Showcase and Mary Lea will now be featured on the website and promoted to a world-wide audience. Jupiter, FL, USA (June 15, 2014) — Light Space & Time Online Art Gallery is pleased to announce that Mary Lea Bradley has been chosen for the gallery’s Artist Showcase and Mary Lea will now be featured on the website and promoted to a world-wide audience. American abstract artist Mary Lea Bradley is a self-taught artist from Southern California. Her focus is primarily on painting in this expressive body of work. Bradley’s Art is immediately striking. Her paintings are characterized by a sense of mystery that invites the viewer in. The paintings transport you from reality to a vibrant, mystical world, where you are the story teller, creating and interpreting your own stories. She’s the kind of artist anyone can talk with. Extremely approachable. Rooted squarely in emotional abstraction, Mary Lea Bradley’s work is never static. Through the intangible elements of light, movement and space, Bradley creates images of uninhibited sensuality. A master colorist, her rich tonal balance exuberantly depicts abstraction with passion, sensation and feeling. It is imagery filled with an intensity of atmosphere that makes the viewer an insider. Her pieces attract; you want to know more, where it started, where it’s going. The viewer’s curiosity makes this artist and her work take flight. Bradley currently lives and works in San Diego, California. Her work can be found in public and private collections throughout the United States and Internationally in Canada, Austria, Great Britain, Australia, China, Thailand, Sweden, Finland, Italy and Spain. More of her wonderful abstract artwork can be found at her website http://www.bradleyabstractart.com. Long Island artist Robert Patrick Coombs will be showing his recent paintings in Lexington Clothing Co.’s East Hampton store on Sunday, Oct. 13. This show will be concurrent with the Hamptons International Film Festival that is taking place from Oct. 10 through Oct. 14. East Hampton, New York, USA (October 1, 2013) — Long Island artist Robert Patrick Coombs will be showing his recent paintings in Lexington Clothing Co.’s East Hampton store on Sunday, Oct. 13. This show will be concurrent with the Hamptons International Film Festival that is taking place from Oct. 10 through Oct. 14. Recently Mr. Coombs has been painting still lifes and the beautiful country and coastal scenes found in the towns and shores at the eastern end of Long Island. Coombs stated recently, “I have been doing paintings that are smaller in scale and somewhat random in terms of subject matter. A single beautiful flower, ordinary still life objects that are made unique by the way the light is falling on them, a vintage automobile detail of fins and chrome, an incredible cloud formation. This is where I find inspiration these days.” Mr. Coombs maintains home studios in Brightwaters, NY and Sharon, CT.
Mr. Coombs was featured in the August/September 2013 issue of Professional Artist Magazine. His work can be viewed at http://www.robertpatrickcoombs.com. Coombs will be showing his work at from 11 am to 5 pm on Sunday, October 13 at Lexington Clothing Co., 73 Main St., East Hampton, New York. High Resolution images are available by contacting the artist at rpc3@optonline.net.